I've had this book from the library for almost two months now. It has sat on my table for almost that entire time because I got sick, was in the hospital and even reading was exhausting. But now, I'm back and the first thing I did was dive into this book. One of the things I loved about this book was the dual romance aspect. Sure, we don't see a lot of Brigid and Ramsey but the tension is there and my heart was breaking right along with hers over the "stupid man" she loved. And she brought a lot of humor to the book as well. Also, Gillian had suffered hell in her childhood, seeing the horrible things she did and then later, having to deal with Alford and what he did to her. But despite that, she still tried to protect those around her-Alec, Uncle Morgan, and even her friends, and finally, Brodick. It didn't work of course, but she still tried. She never gave up. And Brodick, god he was a handful. A stubborn alpha to the Nth degree and I loved how he cared for Gillian but always was messing up trying to tell her how he felt. The scene with Father Laggan at Ramsey's, where Brodick is trying to tell her what happened on the ride there, well that had me cracking up. And Ramsey's conversation with Brigid, I died! Garwood also did an excellent job with Ramsey and Brodick, groveling at the end, that resolved everything and made me truly believe in their HEA. I'm still sighing just thinking about it. But, I will say, the scene with her sister tore my heart to shreds. That was so freaking sad. I could go on and on about this book but I need to finish Garwood's "The Wedding" so I can get these books back to the library. I can't believe I waited so long to read this author. 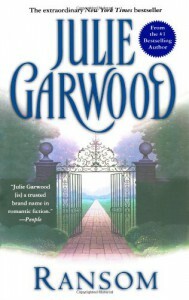 Do you have any recs for other books by Garwood? Let me know!